The interview, published Feb. 28, was conducted by the monthly magazine, “Scarp de’ Tenis” (Tennis Shoes), which serves homeless and marginalized people in Milan and is run by the local and national Caritas branches. The pope was scheduled to visit Milan March 25. Albert von Boeselager, whose dismissal from his post as chancellor of the Knights of Malta sparked a crisis within the fraternal order, has confirmed that it was the group’s former grand master, Fra’ Matthew Festing—and not Cardinal Raymond Burke—who demanded his resignation. Von Boeselager was restored to his post when Pope Francis intervened in the Order’s affairs; Festing resigned at the Pope’s request. The chancellor said that the demand for his resignation came after a controversy that had begun in 2015, over the distribution of condoms in a program sponsored by the Knights of Malta’s charitable arm. He said that Cardinal Burke approved the move for his resignation, but Festing made the demand. Last week the acting head of the Order, Fra’ Ludwig Hoffman von Rumerstein, said that Cardinal Burke was the one who asked for von Boeselager’s resignation. Cardinal Burke replied that he was “stunned” by that claim. “I consider it a calumny,” he said. 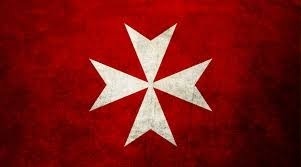 Von Boeselager said that reforms were needed in the Order of Malta. He said that the process leading up to his dismissal was arbitrary, and the move was carried out in violation of the Order’s own rules. The carbon dioxide fast, that is, the reduction of the use of fuel, electricity and waste of plastic, paper and water, is the proposal of the Archdiocese of Mumbai (Maharashtra) for the period of Lent, which starts tomorrow. In a statement posted on the Archdiocese website, the local Church says that "fasting challenges people to consider how their everyday actions can have an impact on the environment." So from tomorrow, Ash Wednesday, until April 8, Catholics are invited to "reduce actions that hurt God's creation." Msgr. Allwyn D'Silva, Auxiliary Bishop and the Office of the Secretary for Climate Change of the Federation of Asian Bishops' Conferences (FABC), reports that "for two years, the diocese has been organizing the carbon fast. Also this year we are continuing the initiative that has is becoming very popular, and continues to be practiced after Lent”. Msgr. D'Silvia, recently appointed and known for his socially and environmentally responsible, continues: "In the account of Creation [the Book of Genesis, ed], we read that God created a beautiful world and saw that what He had done it was very good. Unfortunately we have ruined the world with our actions. " To make sure that the planet reaches sustainability, the bishops stresses that "everyone can take small steps to reduce carbon dioxide emissions. And then the gestures that we practice during Lent can continue even after, in order to ensure lasting change. " According to Msgr. D'Silva, "the Intergovernmental Panel on Climate Change (IPCC) states clearly that human activities are the main cause of climate change. So we as a Church, and in response to call of Pope Francis [with the encyclical "Laudato sì '", ed], must defend and protect creation. There is no better time than Lent to implement the carbon fast". The bishop believes that Pope Francis, in supporting care for the environment, has "created a new beatitude: Blessed are those who protect and take care of our common home." The theme of climate change, he points out, "is rooted in faith, because taking care of creation means to express their love for the Creator. The more interested we are in the care of creation, the more spiritual we become ". A rethinking of behavior "must take place not only in India but across the world, given the uncertain weather, floods and rising temperatures, which have already caused a lot of damage." From our side, concluded Msgr. D'Silva, "we can start reducing the consumption of fuel, walking, cutting out the use of electrical energy, using less paper, reducing food, water and other waste ". In more ways than one, Ash Wednesday — celebrated March 1 this year — leaves a mark. That’s because not only are Catholics marked with a sign of penitence with ashes on their foreheads, but the rich symbolism of the rite itself draws Catholics to churches in droves even though it is not a holy day of obligation and ashes do not have to be distributed during a Mass. Almost half of adult Catholics, 45 percent, typically receive ashes — made from the burned and blessed palms of the previous year’s Palm Sunday — at Ash Wednesday services, according to the Center for Applied Research in the Apostolate at Georgetown University. Parish priests say they get more people at church that day than almost any other — excluding Christmas and Easter — and the congregations are usually much bigger than for Holy Thursday or Good Friday services. “Virtually every parish that I’ve worked with will have more people come to Ash Wednesday than almost any other celebration,” said Thomas Humphries, assistant professor of philosophy, theology and religion at St. Leo University in St. Leo, Florida. “We talk about Christmas and Easter as certainly being the most sacred and most attended events during the year, but Ash Wednesday is not even a day of obligation. In terms of liturgical significance, it’s very minor, but people observe it as overwhelmingly important,” he said in a Feb. 17 email to Catholic News Service. “This practice is particularly attractive to us today because it is an embodied way to live out faith, to witness to Christian identity in the world, ” said Timothy O’Malley, director of the Notre Dame Center for Liturgy at the University of Notre Dame, where he also is a professor of New Testament and early Christianity. Jesuit Father Bruce Morrill, the Edward A. Malloy professor of Catholic studies at Vanderbilt University Divinity School in Nashville, Tennessee, thinks the appeal of Ash Wednesday is partly because participants receive a “marker of identity” as Catholics. 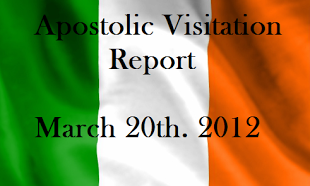 “Clearly it touches on a deep sense of Catholic tradition in a way few other symbols do,” he told CNS Feb. 17. For many, it also links them to childhood tradition of getting ashes. It also links them, even if they are unaware of its origins, to an ancient church tradition. The priest said the use of ashes goes back to Old Testament times when sackcloth and ashes were worn as signs of penance. The church incorporated this practice in the eighth century when those who committed grave sins known to the public had to do public penitence, sprinkled with ashes. But by the Middle Ages, the practice of penance and marking of ashes became something for the whole church. Ash Wednesday also is one of two days, along with Good Friday, that are obligatory days of fasting and abstinence for Catholic adults — meaning no eating meat and eating only one full meal and two smaller meals. The other key aspect of the day is that it is the start of the 40 days of prayer, fasting and almsgiving of Lent. As we head into the Lenten season, Pope Francis has invited us to reflect on our relationship to God and to money, as we can't serve both masters at the same time. His words came on Tuesday during morning Mass in the Casa Santa Marta. Speaking about the message of the Gospel readings in these days leading up to the beginning of Lent, Pope Francis recalled the story of the rich young man who wanted to follow the Lord, but whose wealth led him to follow money instead. Jesus’ words in this story worry the disciples, as he tells them it is easier for a camel to pass through the eye of a needle than for a rich man to enter the Kingdom of Heaven. In today’s reading from St Mark’s Gospel, the Pope said, we see Peter asking the Lord what will happen to them, as they have given up everything to follow him. “It’s almost as if Peter is passing Jesus the bill,” Pope Francis exclaimed. Peter didn’t know what to say: the young man has gone his way, but what about us? Pope Francis said Jesus’ reply is clear: I tell you there is no-one who has given up everything and has not received everything. You will receive everything, in that overflowing measure with which God gives his gifts. The Pope repeats the Gospel words: “there is no one who has given up house or brothers or sisters or mother or father or children or lands for my sake and for the sake of the Gospel, who will not receive a hundred times more now in this present age: houses and brothers and sisters and mothers and children and lands, with persecutions, and eternal life in the age to come”. The Lord is incapable of giving less than everything, the Pope said: when he gives us something, he gives all of himself. Yet there is a word in this reading, he continued, which gives us cause for reflection: in this present age we receive a hundred times more houses and brothers, together with persecutions. The Pope said this means entering into a different way of thinking, a different way of behaving. Jesus gives everything of himself, because the fullness of God is a fullness emptied out on the Cross. This is the gift of God, the Pope insisted, a fullness which is emptied out. This is also the Christian’s way of being, to seek and receive a fullness which is emptied out and to follow that path is not easy, he stressed. How do we recognize that we are following this path of giving everything in order to receive everything, he asked? The words of the first reading of the day tell us to “pay homage to the Lord, and do not spare your freewill gifts. With each contribution show a cheerful countenance, and pay your tithes in a spirit of joy. Give to the Most High as he has given to you, generously, according to your means". A cheerful face and eyes full of joy, the Pope said, these are the signs that we’re following this path of all and nothing, of fullness emptied out. The rich young man’s face fell and he became very sad, because he was not capable of receiving and welcoming this fullness emptied out, but the saints and Peter were able to receive it. Amid all their trials and difficulties, they had cheerful faces and hearts full of joy. The six young people continued to claim to see Mary and receive messages from her and tens of thousands of pilgrims visited the town — and the alleged visionaries — each year. 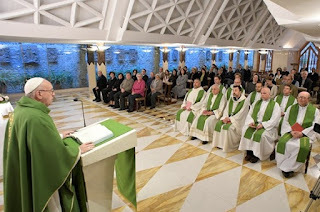 Pope Benedict XVI established a commission that worked from 2010 to 2014; and the Congregation for the Doctrine of the Faith began looking at that commission’s report in 2014. Not only is there a good deal in common between Muslims and Christians, but Catholics are called to respect and work together with those who practice the Muslim faith in recognition of truth and goodness they do possess, said Islam scholar Fr. Thomas Michel. The U.S. bishops are responding with solidarity and concern for the Jewish community, following a surge in anti-Semitic actions in recent weeks. “On behalf of the Bishops and people of the Catholic Church, as the Chairman of the Bishops’ Committee for Ecumenical and Inter-religious Affairs, I want to express our deep sympathy, solidarity, and support to our Jewish brothers and sisters,” said Bishop Mitchell T. Rozanksi of Springfield in a press release. Archbishop Charles Chaput of Philadelphia was "deeply saddened" by the vandalism at Mount Carmel Jewish Cemetery, and called for "prayerful solidarity with the families of those whose final resting places have been disturbed." "As a community, we must speak out to condemn inflammatory messages and actions that serve only to divide, stigmatize, and incite prejudice," the archbishop continued. "We must continually and loudly reject attempts to alienate and persecute the members of any religious tradition. Rather, as members of diverse faith and ethnic communities throughout the region, we must stand up for one another and improve the quality of life for everyone by building bridges of trust and understanding." The bishops of South Sudan issued a call last Thursday for dialogue between the warring factions in the country, and international humanitarian aid to alleviate the famine affecting so many in their nation. They detailed that Catholic radio programs have been removed, and churches burnt down. In May 2016, a Slovak nun, Sister Veronika Terézia Racková, was killed by militants; a physician, she had been working at a hospital in Yei. Every five hours, another Irish child becomes homeless, according to the charity Focus Ireland, which this week highlighted the extent of the problem. Citing government figures, Focus Ireland said that in January there were 7,167 people registered as homeless, 2,407 of whom were children. 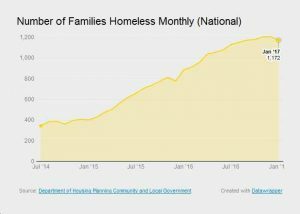 The overall number of homeless people is 25 per cent greater than it was a year ago in January 2016, when the total number of homeless people was reckoned to be 5,715. More worryingly, the rate of increase in homelessness is accelerating even faster – the number of homeless children is 32 per cent greater than it was 12 months ago, when 1,830 people aged under 18 were without a permanent home. Looking back at statistics from the last three years, the number of homeless people in this country has doubled since July 2014, when 3,258 people were registered as being without a home. Last month, 87 families with 151 children became homeless. Focus Ireland’s advocacy director Mike Allen said: “This means that, shockingly, a child became homeless every five hours during the month of January. Focus Ireland, founded by Sr Stanislaus Kennedy (Sr Stan) of the Religious Sisters of Charity, is calling on the government to devote greater energy to tackling the homelessness crisis. In particular, it wants the Minister for Housing Simon Coveney to set out “a clear set of actions and objectives” for the next three years that will prevent family homelessness and provide support to those already suffering homelessness. At present, there are only 1,829 units of social housing under construction, according to figures quoted in the Dáil on Friday. During the 1950s, when Ireland was not as rich a country as it is now, we were able to build social housing at a rate of 5,250 units a year. In the 1970s, again a period not known for great prosperity, we built social houses at a rate of more than 6,153 a year. The 2017 Candleweek, an annual mission week in Cherry Orchard Parish in the Archdiocese of Dublin, takes place this week, beginning Monday 27 February and continuing until Friday 3 March. On Thursday 2 March, special guest Elma Walsh, mother of the late Donal Walsh, will join the Candleweek celebrations to speak on the theme of ‘well-being’. All are welcome to attend the 11th annual Candleweek celebrations. For more information on Candleweek visit www.dublindiocese.ie and for updates follow ‘Cherry Orchard Parish’ on Facebook and on Twitter as ‘@candleweek’. Pope Francis has helped the Society of St Pius X in its efforts to buy a beautiful church and complex in the centre of Rome, according to the Italian newspaper Il Foglio. Vatican commentator Matthew Matzuzzi said the Pope played a “decisive role” in speeding up the purchase of Santa Maria Immacolata all’Esquilino. The church, round the corner from Rome’s Lateran basilica, is expected to become a study centre and later, it is hoped, the headquarters of the SSPX. Matzuzzi said the Pope’s intervention was made through Mgr Guido Pozzo, secretary of the pontifical commission Ecclesia Dei, which seeks to bring traditionalists into full communion with the Church. He said the SSPX superior general Bishop Bernard Fellay stayed at the Pope’s Santa Marta guesthouse along with two other officials, Fr Alain Nely and Bishop Alfonso de Galarreta, during negotiations last month. The neo-Gothic church, located on the Esquiline, one of the seven hills of Rome, was built between 1896 and 1914 for a now disbanded order of Franciscans, the Grey Friars of Charity. The complex buildings next door were formerly used for a school. It would not be the first time the society has been able to count on the assistance of Pope Francis. The then Cardinal Jorge Bergoglio, Archbishop of Buenos Aires, intervened when the Argentine government sought to deny the society permanent residence in the country on the grounds that it was not Catholic. Matzuzzi also claimed that an agreement between the Holy See and the SSPX that would establish the society as a personal prelature was now close.